Successfully Added WiFi Endoscope - IP67, App Support, Pictures, HD Video, 6x LED Light, 150x Magnification, 10m WiFi Range to your Shopping Cart. 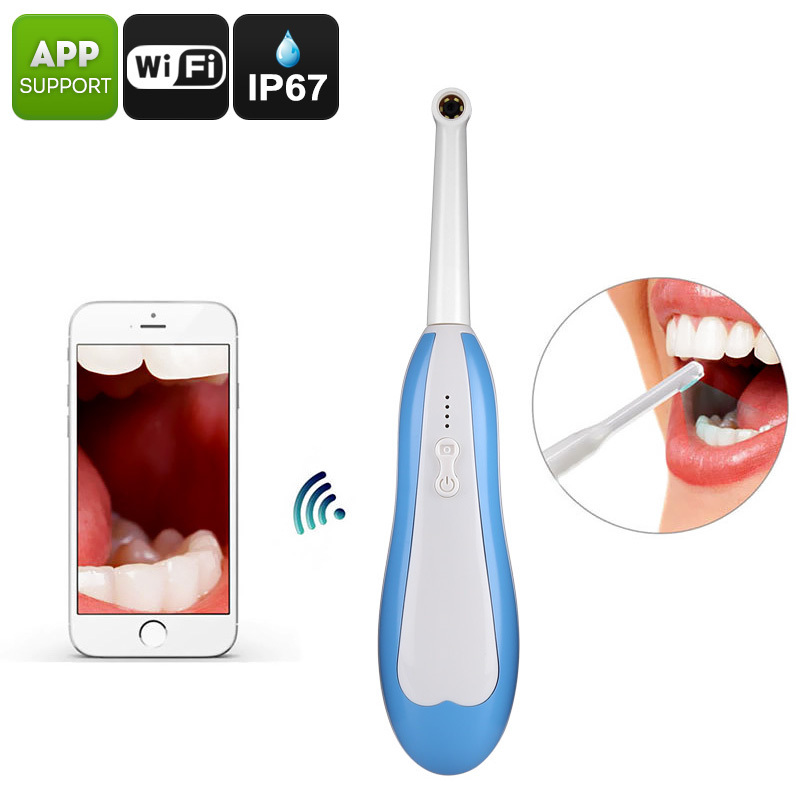 This compact WiFi endoscope is the perfect gizmo for students and professional dentists alike. The gadget features an extremely compact design that can be easily carried along anywhere you go. With its WiFi and App support, it allows you to enjoy live footage on your smartphone, PC, or Tablet. The WiFi endoscope is capable of shooting HD video and crisp pictures that will be instantly stored on your PC or smartphone. This allows you to watch back snapped pictures and video for analysis purposes at a later time of the day. By supporting both iOS and Android operating systems, this WiFi endoscope can be used with the vast majority of smartphones out there. The endoscope itself features an IP67 waterproof design. Thanks to this, you won’t have to worry about your gizmo’s well-being while using it throughout the day. With its 1.5-hour battery life, it lets you examine plenty of patients in a row without needing to recharge. Your WiFi endoscope features 6 bright LED lights thanks to which you’ll get clear images even of the darkest corners of your patient’s mouths. Along with a 100-degree viewing angle and 150x magnification support, this dental oral camera makes sure that not a single detail stays unnoticed while checking your patient’s teeth. Arabic: - المنظار - Chinese Simplified: - 内窥镜 - Czech: - Endoskop - Danish: - Endoskopet - Dutch: - Endoscoop - French: - Endoscope - German: - Endoskop - Hebrew: - אנדוסקופ - Hindi: - Endoscope - Italian: - Endoscopio - Japanese: - 内視鏡 - Korean: - 내 시경 - Malay: - Endoscope - Norwegian Bokmål: - Endoskop - Romanian: - Endoscop - Russian: - Эндоскоп - Spanish: - Endoscopio - Thai: - ส่องกล้อง - Turkish: - Endoskop - Vietnamese: - Nội soi.